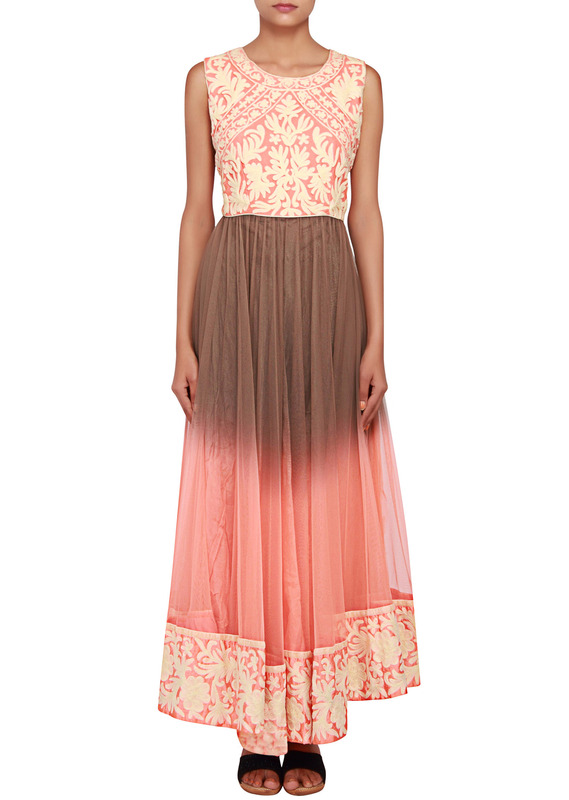 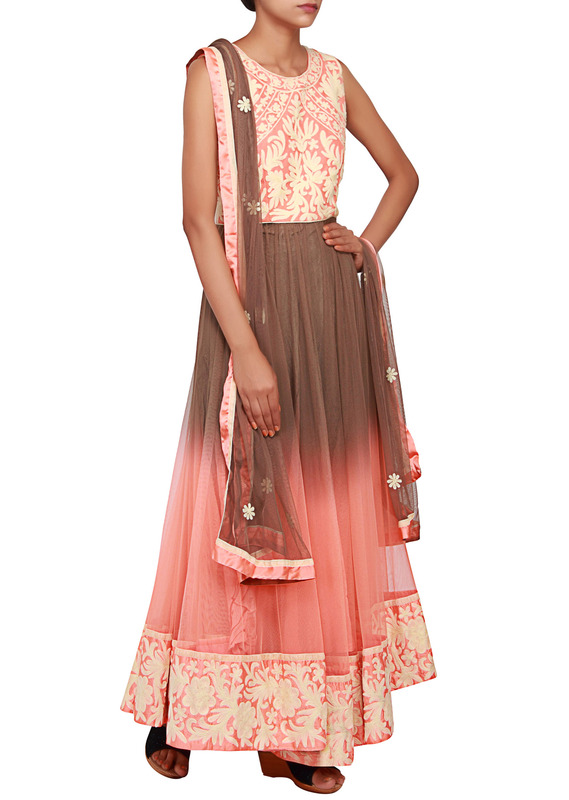 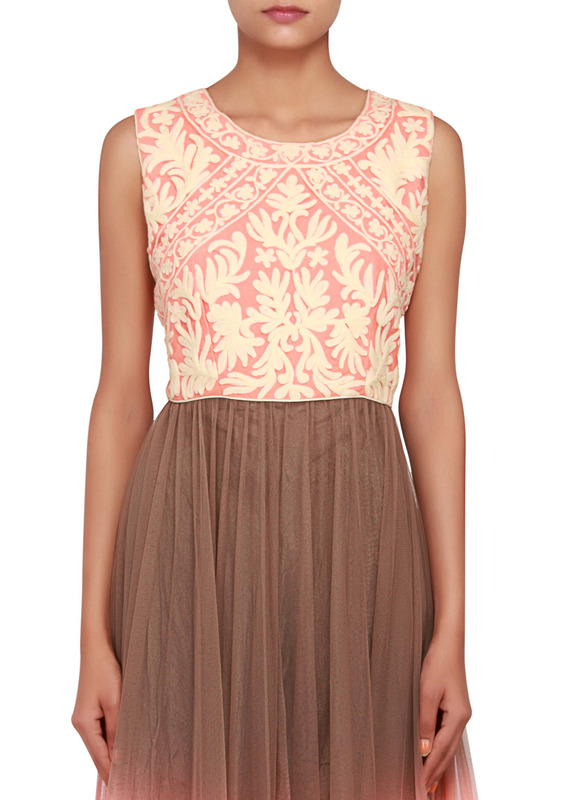 Featuring a peach and brown shaded anarkali in net with bodice in peach embellished in white thread. It is sleeveless and has a round neckline. 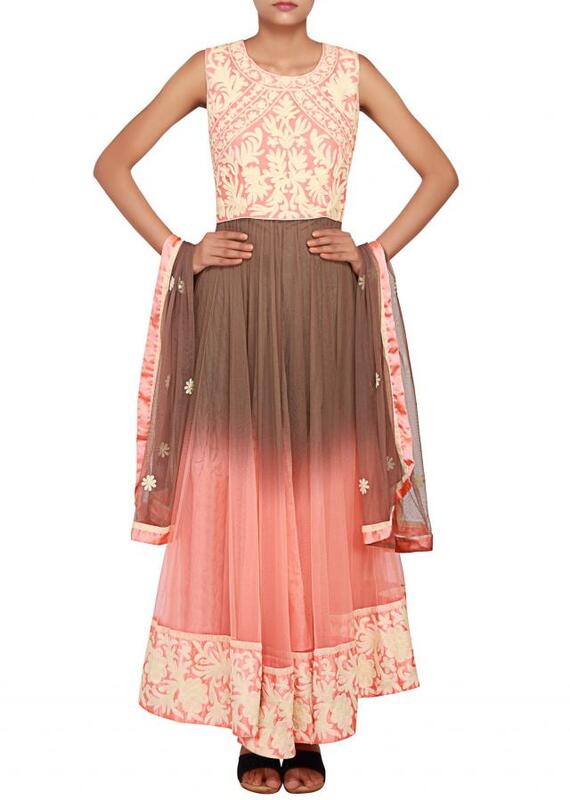 Border is in peach satin with heavy white thread embroidered. 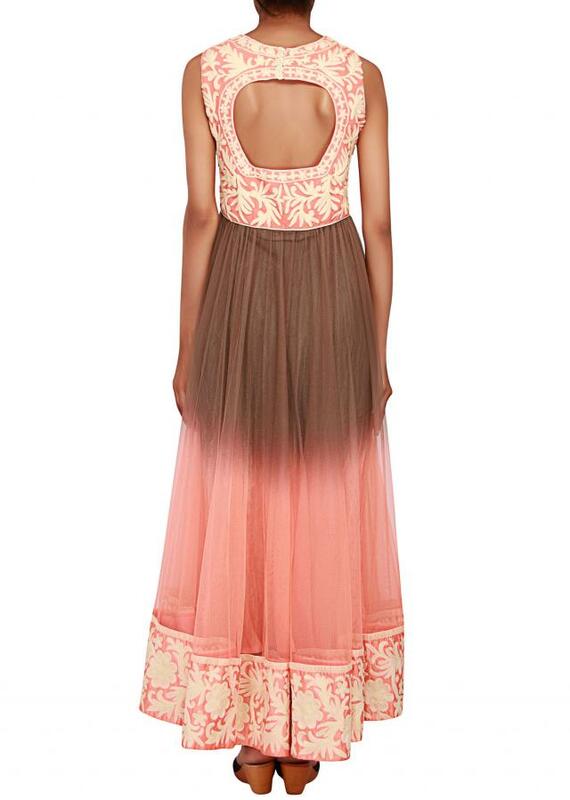 Back is in peach net with white thread embroidery and a round cut-out. It comes with a brown net dupatta and brown cotton silk churidaar.